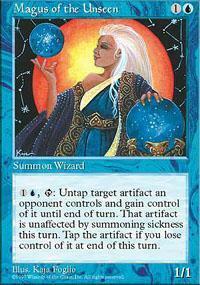 Card Text: , : Untap target artifact an opponent controls and gain control of it until end of turn. If it's an artifact creature, it gains haste until end of turn. When you lose control of the artifact, tap it. There are currently 2 Magus of the Unseen combos listed on our site. If you have your own Magus of the Unseen combo, we would greatly appreciate it if you would consider Adding Your Combo to our site. There are currently 1 Magus of the Unseen decks listed on our site. If you have your own deck that has Magus of the Unseen in it, we would greatly appreciate it if you would consider Adding Your Deck to our site. 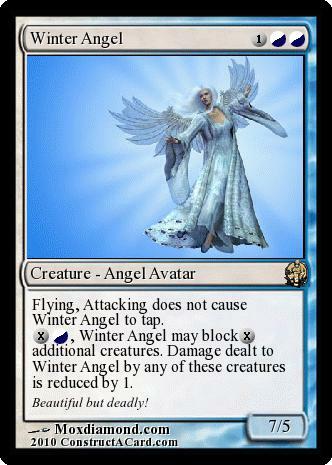 Magus of the Unseen has now been printed in a total of 2 magic the gathering sets.